A while back a longtime friend was telling me about his work-life balance. He explained how he appreciated coming home to his children, entering his home genuinely engaged and mindful of their shared time. He was thinking out loud that his appreciation of family time would be different if he was a stay-at-home Dad, if he was around his kids all day long. Well that got me thinking on my experience. Of course at-home parents have a different appreciation for the time with their kids. On one hand you get to see more of the subtle changes in your children; you witness more of the small things that make the big differences. And on the other hand, you have to fill eight to eleven hours with activities for people who have an attention span of twenty seconds. This usually means repetition, like re-reading the same stories, playing the same games. And this can get tough as you fight with boredom and try not to disconnect. In the work world this is referred to as “burnout”. Sometimes it can be remedied with a change in work duties, sometimes with a well-deserved vacation. Sometimes, though, it is the sign that it is time for a change. Well these solutions don’t fit so well for the parent/family dynamic though. Even if your spouse takes the kids on an afternoon adventure, it’s not the same thing cause there’s probably laundry to do, somewhere, and toys lying around, everywhere. So what to do? I admit that I like routine, but you have to change it up. Sometimes this means breaking routine, going out and doing something at a time of day when you would normally be at home. Sometimes this means imposing your will on your children. For example, I can listen to the Trolls movie soundtrack twice in one day. Any more and I get irritable. So despite protests and tears and gnashing of teeth, it gets shut off. I learned this the hard way when Sweetie fixated on the same four songs off of the Guardians of the Galaxy soundtrack. Four of fourteen. So impose away, that’s parenting – hey, I didn’t get to play my music in the car until junior high. Another great thing to tap into is your creativity (okay, this option is a bit more feel-good too). I like creative activities. When the girls don’t want to play on their own while I change bed sheets, we build a big fort for them. When coloring gets boring we decorate cards for friends and family. It’s essentially the same activity, but the different medium makes it new and fresh. Because here’s the kicker; kids disconnect too. And nothing is more dangerous than a bored child. I have found that if I don’t give the girls something to do, they will find something to do. 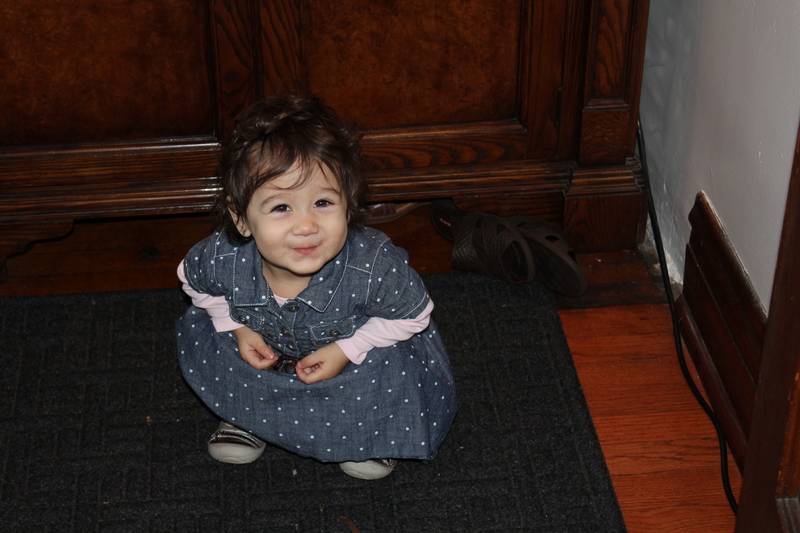 This usually involves non-toys around the house that I don’t want them to play with (see above). Note to would-be parents: kids are active and require stimulation. Their little hands and brains need to “be doing” constantly. If your kids are like mine, then boredom is the cause for most problems. Again, there a way to prevent things from getting stale and stay engaged. Our experience is activity: we have enrolled the girls in a variety of activities to keep them active and to keep our shared experience fresh. 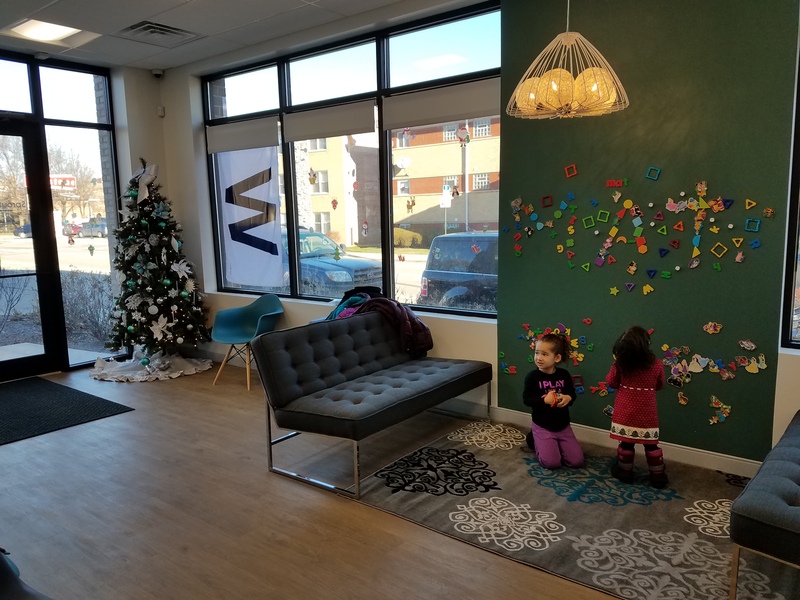 From music-play classes to art at the park district, zoo camps to piano lessons, we have sought out a bunch of activities outside the house. In reality, boredom is part of everyone’s lives. It happens. 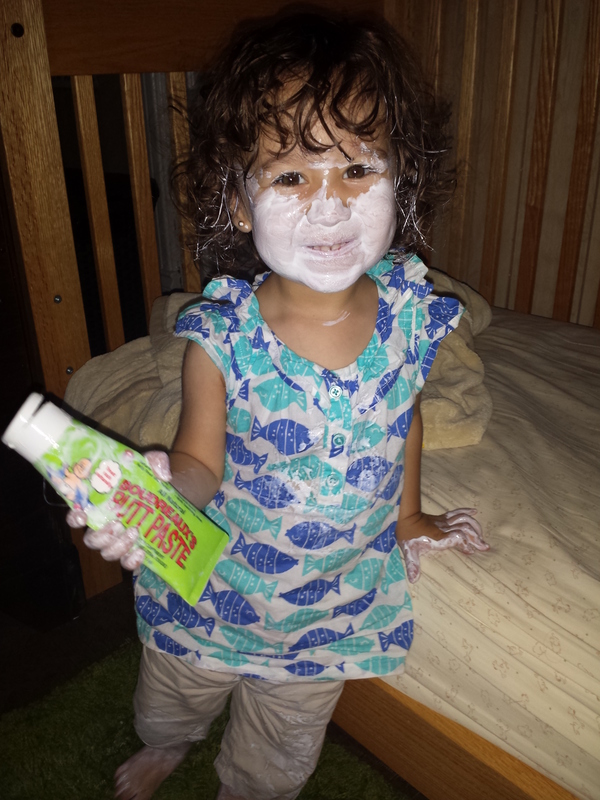 I don’t have a D3 guide to staying engaged while at-home with your children all the time. In fact, if any of you have suggestions for activities, please share in the comments section. The best way that I have found for staying engaged is to stay active with varied, creative activities, inside and outside the house. And while it wears me out, it is the most fun way to roll this at-home adventure. The Cricket is two-and-a-half years old, so we are making enrollment plans for next fall. This process was new to me when we enrolled Sweetie, but now it is familiar. Wife and I were not interested in our local public school nor the lottery system, and we were looking for the intangible benefits of a Catholic School education like citizenship, stewardship and an active (even if questioning) faith. We have been pleased with Sweetie’s development over the past year and a half, and enjoy growing our place within the St. Viator community. 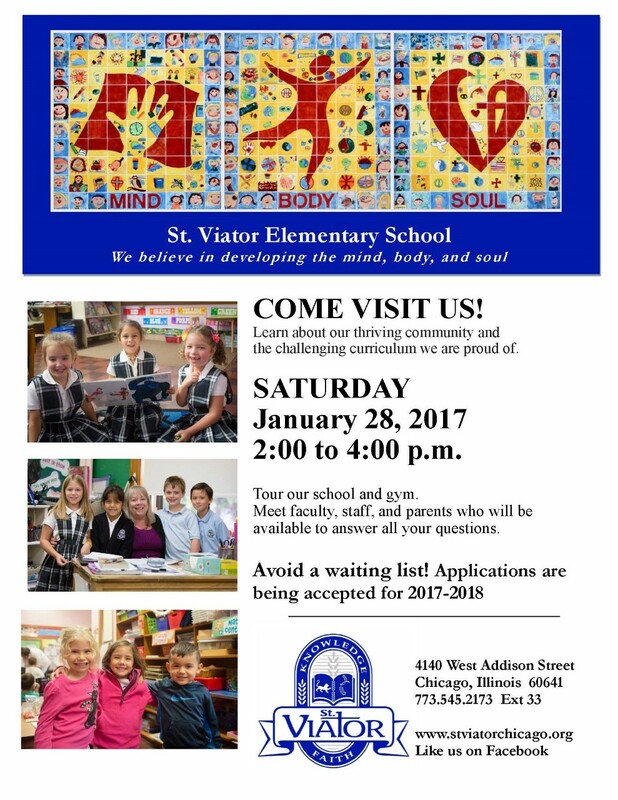 If this sounds like a good fit to you, please check out the St. Viator Elementary School Open House this upcoming weekend. The school will be open for tours, with faculty, staff, and current parents available to answer questions about classes (PreK-3 through Eighth Grade), campus, and community. How are you today? Are you celebrating the new administration? Are you sad about the exit of the former POTUS? Maybe you are like me, still reeling from the ugliness of the campaign season and just a bit numb to American politics in general. This election played out similar to the 2000 election when George W. Bush became the 43rd president. Similar to that year, I spent the day after the election in a fog of disbelief. In contrast, this year I listened to words of encouragement that helped me regain perspective. That sentiment was in so many of the stories I was listening to that day. People planning to renew their commitments to social justice. People planning to strengthen their relationships with friends and family. People planning to review their political involvement and figure how to get more knowledgeable, more active and more effective. It was not a collection of complaints or conspiracy theories,there was no more rehashing of ugly histories, there was no mud-slinging. The stories were lacking some of the hope that has been pervasive in the past eight years. But in the space it left there was determination. And I knew I would not talk any more about moving to another country to avoid this administration. This is my country, here are my people. The president does not change that. So I lit my first candle that day after the elections. 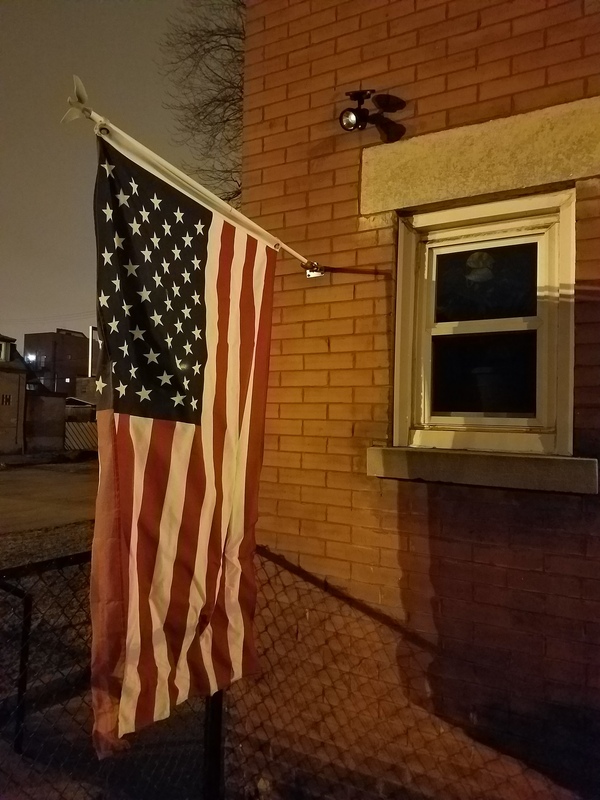 I went to the store and bought a replacement light to illuminate the American Flag that Micompadre flies outside the apartment. A small step, but I felt immediately better. Because you respect the country always; the flag we stand under, the land we stand on and the people we stand with, and you respect the government when it deserves it. This is not a paid endorsement of the girls’ dentist, I just wanted to share our positive experience. It is not easy to find good healthcare/dental care providers, but we have. So here’s one for the Toolbox. We first met Dr. Johnny Kuttab, D.D.S., “Dr. Johnny”, two years ago when Sweetie’s Pediatrician told us it was time for her to see a dentist. Wife found him through a Google search, and that initial appointment was in his first office at BrightSmiles Pediatric Dentistry. We were immediately sold on his bedside manner and approach to pediatric dentistry. Now he has opened a new office on the north side of Chicago called Sprout Pediatric Dentistry. Let’s start with the office itself. Located at 6036 N. Northwest Highway, they are easy to reach from the expressway or the side streets. This location is technically farther from our house, but the surrounding area is less dense and much easier for us to reach. 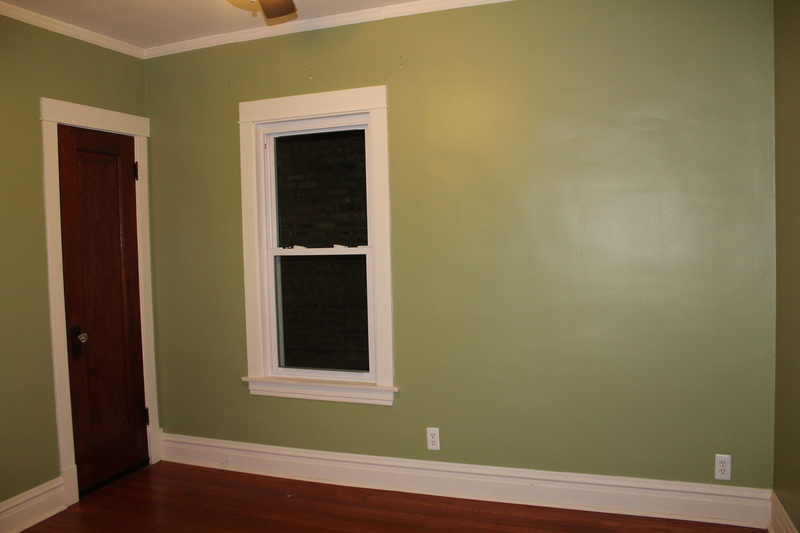 The space is pleasant and calming for children and their parents. 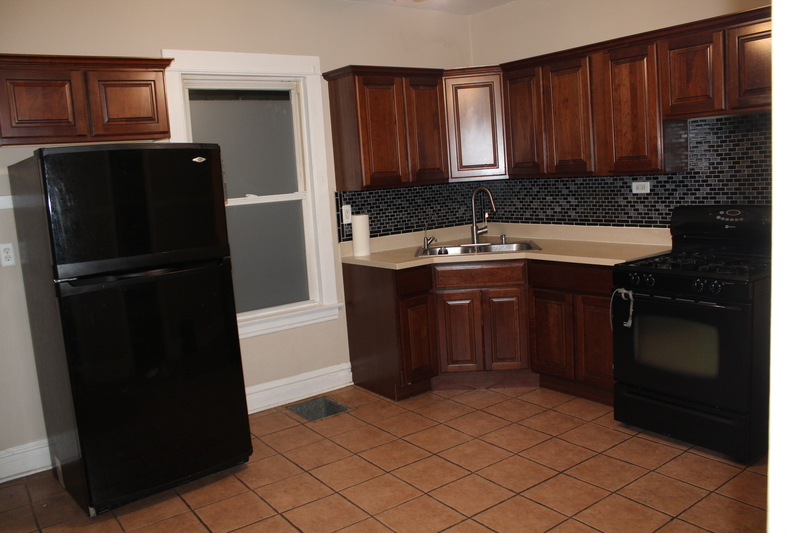 It is fresh and clean, painted in soft neutral colors throughout. The exam area uses an open plan, with seats for three children. 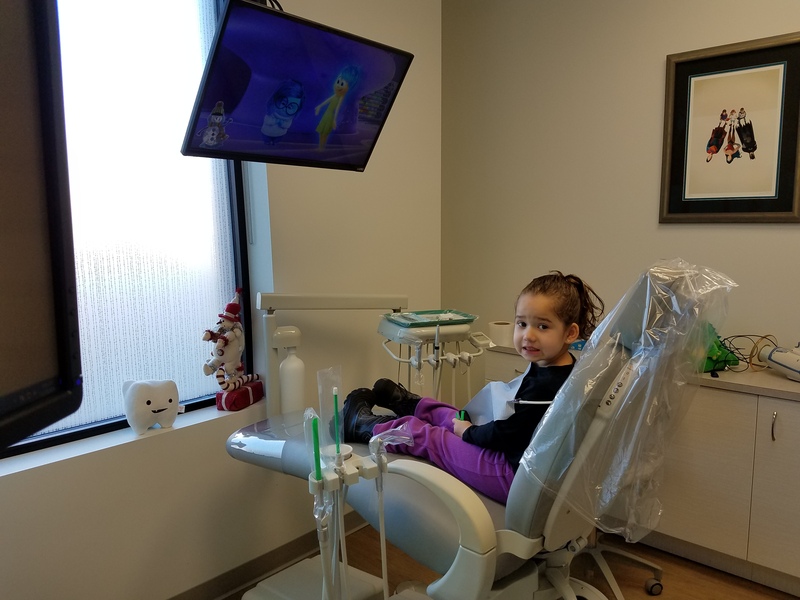 There are couches set behind the dental chairs so parents can stay close, but out of the way. Each station has it own television so the kids can watch a movie during their exam. If your kids are like my girls, they will be too busy watching to worry. And Dr. Johnny explained that’s the point. An older school of thought kept kids more attentive to the visit, but that also brought anxiety (anyone relate to that?). The environment is designed so kids are relaxed and have an easy experience. All the staff are warm and welcoming, from the front desk to the oral hygienists. Jeanette kept Cricket calm and Lupe was great with Sweetie. Speaking of Dr. Johnny, let’s talk credentials (before I weigh in). 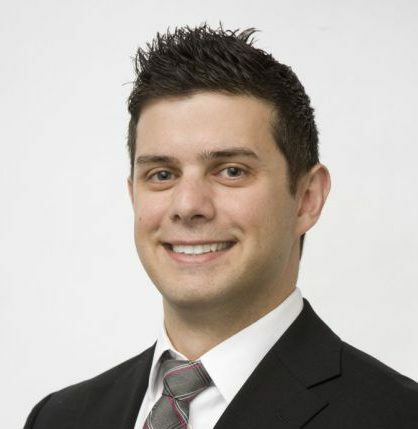 He is a board certified pediatric dentist, as are the two other dentists at the practice. He completed his pediatric training through the Ann & Robert H. Lurie Children’s Hospital of Chicago and remains active there, teaching pediatric dental residents. His focus in the clinic is behavior management so his demeanor is calm and professional while still connecting with the children. He is a proponent of preventative care practices. That description is kind of dry, but it is meant to be factual and unbiased. 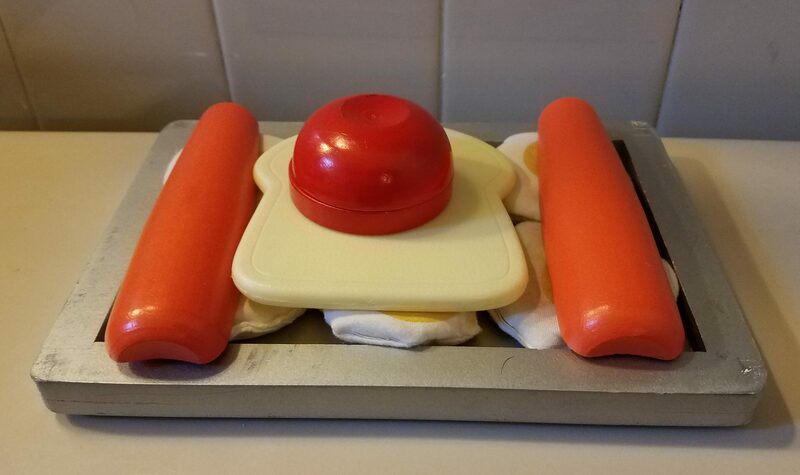 Now let’s dish. From the first visit I found Dr. Johnny to be engaging and pleasant without being chatty. He makes it a point to speak directly to the girls, and always takes time after the visit to explain his findings to Wife and I.He has never made us feel rushed. Dr Johnny has been a dentist for about 9 years, 7 of those as a pediatric dentist. So he is young, and the new office reflects the young, fresh energy he brings to his practice. Dr. Johnny does not do unnecessary services. At her first visit Sweetie presented with healthy teeth and gums (thankfully Cricket is following the same pattern) so Dr. Johnny told us he did not feel a need to take X-Rays. He told us he would take them if we wished, if we were concerned about anything, but he did not have cause for concern. She just took her first set in December, at four years old, without a problem. So no unnecessary radiating of children here. Another nice thing is that when he talks prevention he frames it in real life. Example: He was speaking to us about how fruit snacks are bad for kids’ teeth, but admitted that all kids eat them. So he encouraged moderation and care, acknowledging that abstinence is a tall order for the little ones. Dr. Johnny’s extensive training is much of what makes him a good dentist, but I think that his most important attribute is that he is a father. 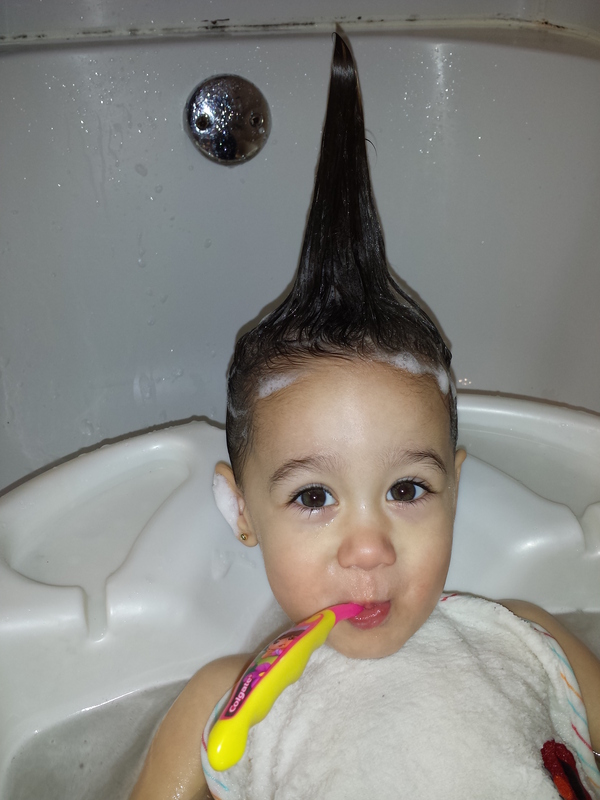 He knows what it is like to navigate life, and oral hygiene, with a pre-schooler. For me that is a big plus. 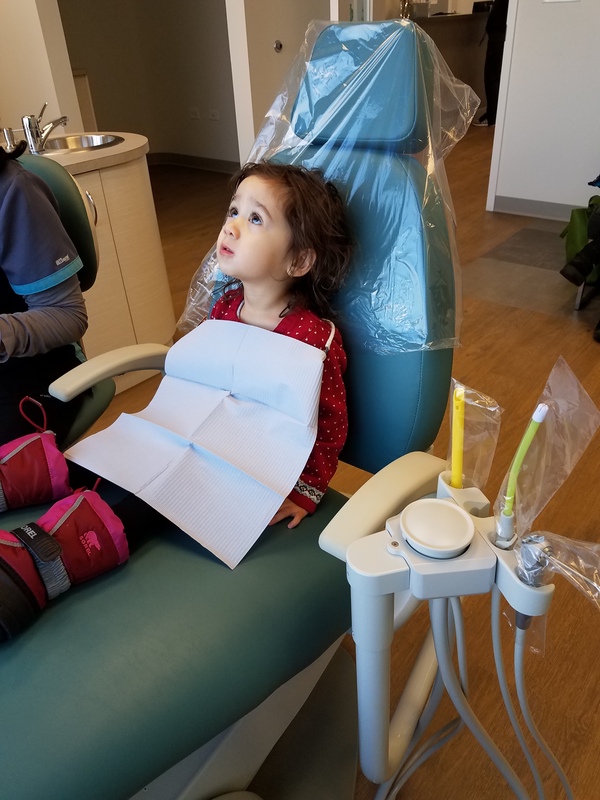 I guess I should say something less than glowing about Sprout Pediatric Dentistry and Dr. Johnny to balance this review, but there’s not much to complain about. Early on they didn’t have a changing table in the bathroom, but they were apologetic and accommodating and allowed us to use a leather couch in a back office. They have since set up a great station though, an actual changing table with supplies. So that’s handled. I have had some challenges with parking, even though they are in a strip mall. But the street parking (which is free) is just steps from the front door, so no big gripe there either. Well, I guess this post will just weigh in favor of Dr. Johnny. Maybe it’s time for your two-year-old to see a dentist. Or maybe you are not happy with the care you receive from your current dentist. 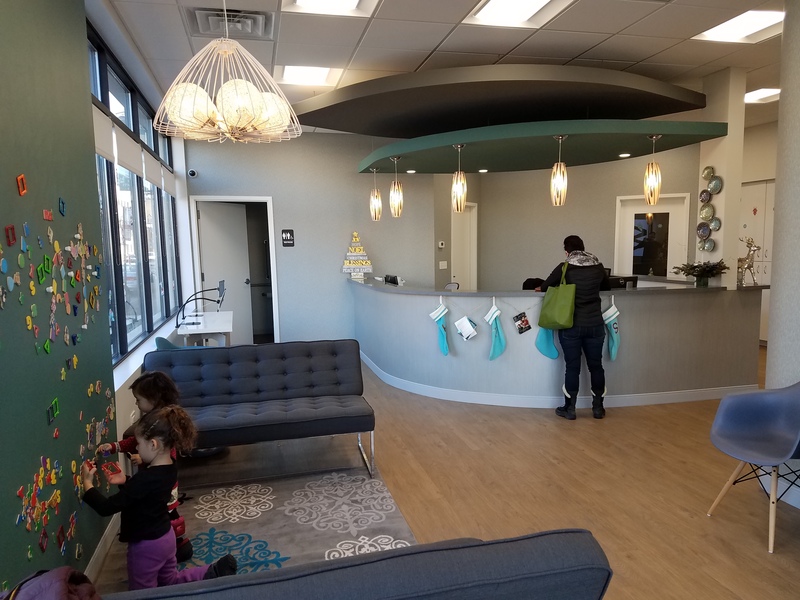 Learn more about Sprout Pediatric Dentistry on their website and decide if they are the practice for you.They serve the city and suburbs, the hours are listed on their page. I would say, “we’ll see you there,” but we don’t go back for another six months! Finally gettin’ back to the house project folks. As I mentioned in the post that introduced our renovation, the work started in July 2016 and has moved along steadily ever since. 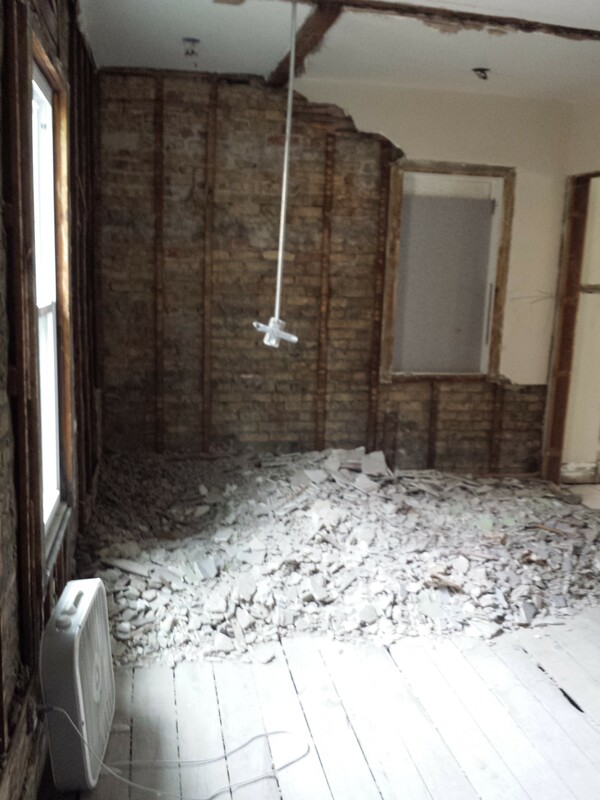 Some of you out there have actually seen the work in progress, but here is the initial demolition (“demo”) work. We stopped by the house the Saturday after demo started, unannounced, just to see the progress. As you can see, the work was fast, the change was dramatic. 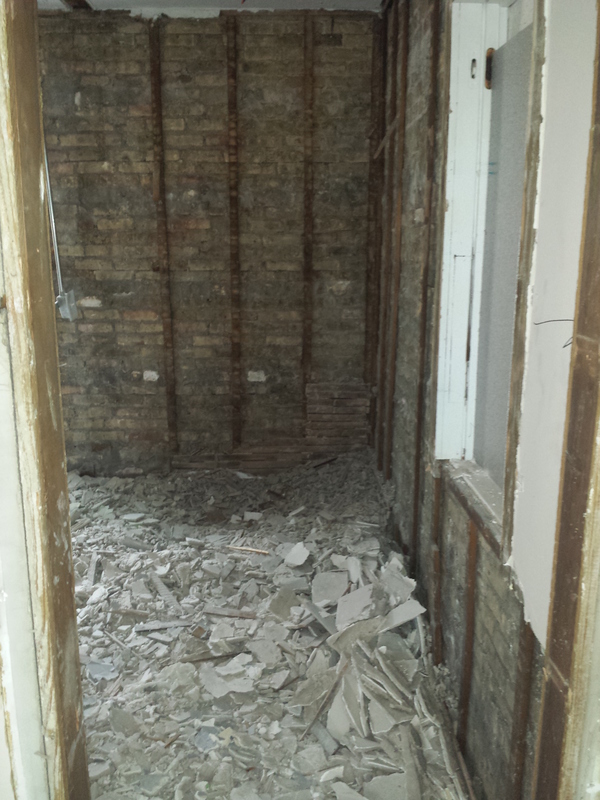 I have done demo on smaller projects at the house and made a mess of the space, even with a solid containment effort. 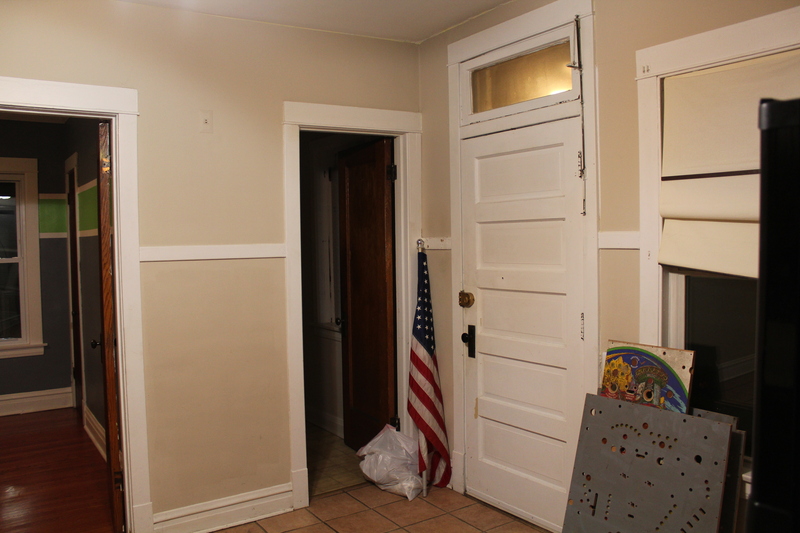 So I was amazed at how tidy the house was, despite how extensive the demo. This pile left at one end of the house was that was left by the week’s demo. It was comforting seeing the work site, our house, straightened up before everyone left on Friday. So the ground floor is just about gutted. A couple of items were discovered once the walls and floors were opened, and we expected that. 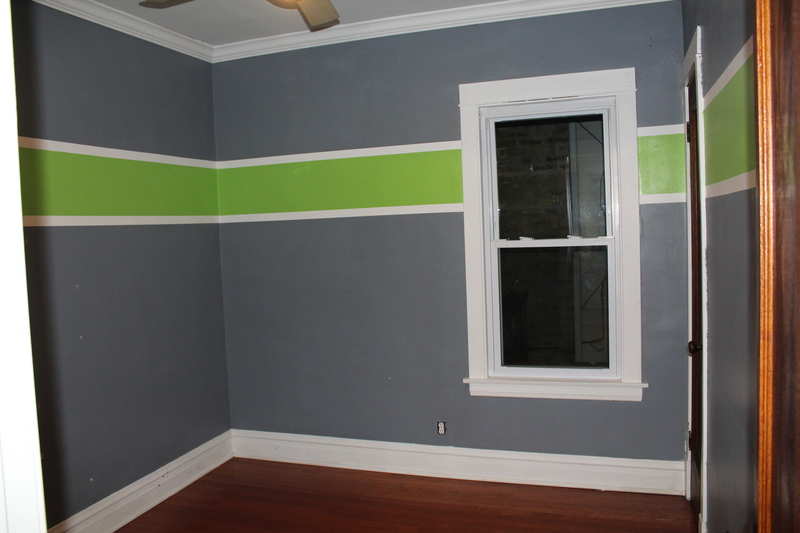 No Architect or Contractor can tell you exactly whats behind your walls or under your floor. 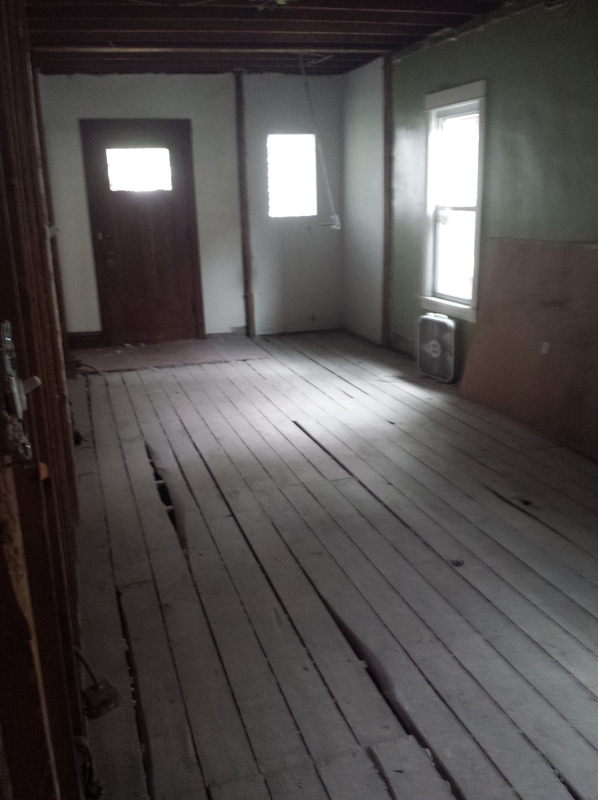 Some advice for any of you out there planning on a renovation: Expect the Contractor to find issues once the demo is completed, and don’t get bent at him/her for suggesting additional work. 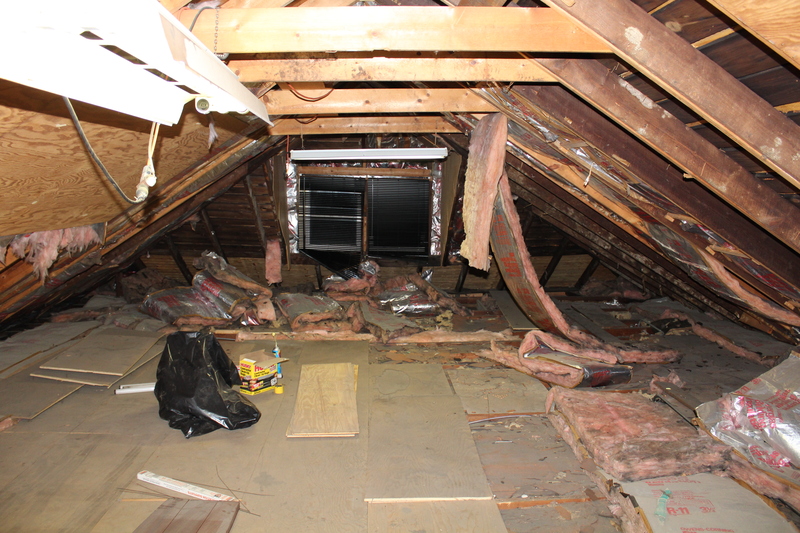 Anyway, now they can start focusing on the second floor and the removal of 75% of our current unfinished attic. Winter break is now over. Sweetie is in bed, all ready to go back to school tomorrow. Wife is already back to work, ending many days where we were spoiled with her presence. Cricket and I are looking forward to activities starting back up and getting back to a daily routine. And so begins 2017 on the detour. I am not going to list a bunch of resolutions here, mainly because I don’t believe in New Years’ resolutions. And by “belief” I mean that I historically don’t put enough energy into my resolutions to make them an active part of my life. I historically don’t choose concrete resolutions that I can engage. But I do believe in challenges, so I will share two with you all. My first challenge for January 2017 is to publish two new posts a week. Ideally, this will be Mondays and Thursdays. I have a list of topics to write about, and I have the house renovation to catch you all up on, so the material is here. Now to make the time. As I write this the Cricket is crying herself NOT to sleep, thereby eating up the few hours that should not have two small bodies running all over them. No excuse though – such is the life of a parent. And thank goodness for Wife – hey, good transition! A second challenge for me this month is to live my gratitude. Our attitudes effected our life situations, so I am going to try to put forth a grateful attitude and drive my situations accordingly. I might even do a morning mantra to set my mind right. Let me start now by saying, “Thank you,” to all of you reading out there. An internet existence is dependent on “likes” and followers and visits. And I am grateful for all of you out there that provide any and all of these to the detour. Besides that, your presence here helps to shore me up, helps me deal with the tough days and the creative blocks.